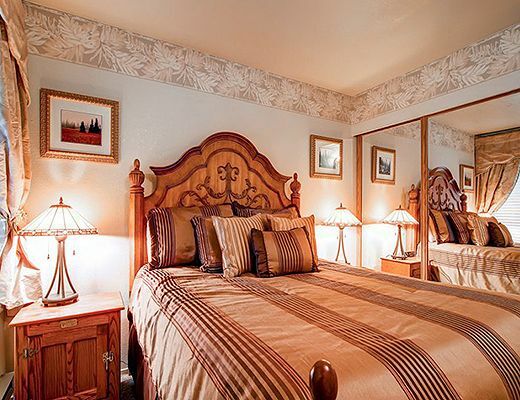 The queen bedroom offers a comfortable 2" memory foam mattress topper and 32" flat screen TV. 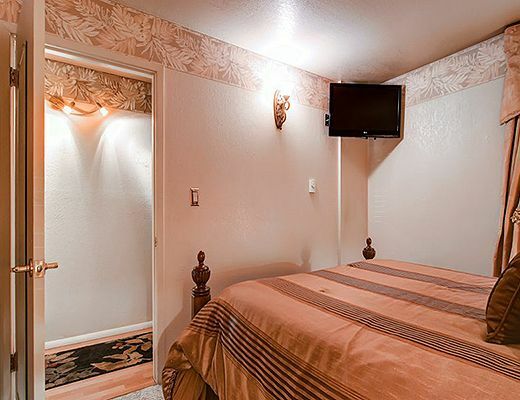 Two guests may sleep on the comfortable sofa-sleeper in the living room, upgraded with a 7" mattress. 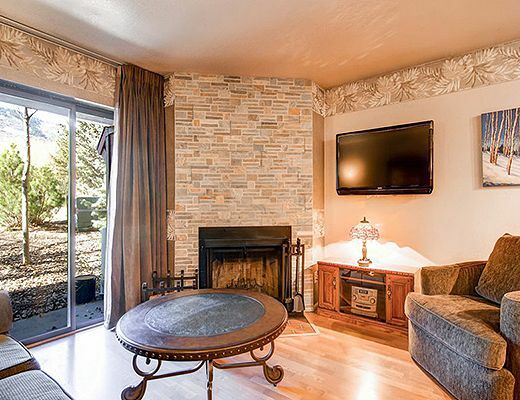 Recline while enjoying the 60" flat screen TV and wood burning fireplace. 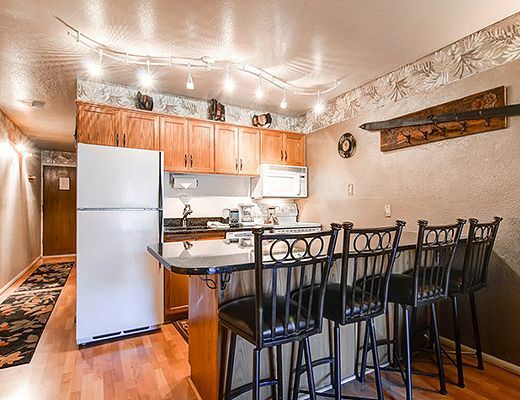 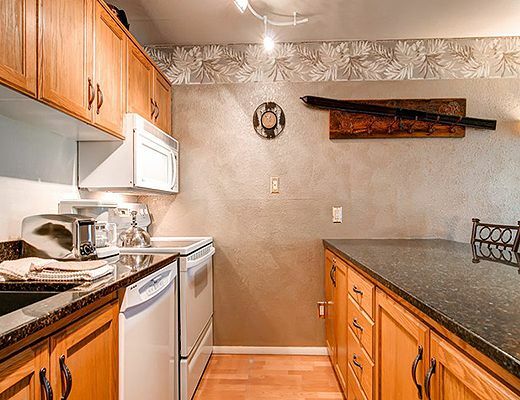 Full kitchen, dining counter with seating for four and free wireless internet. 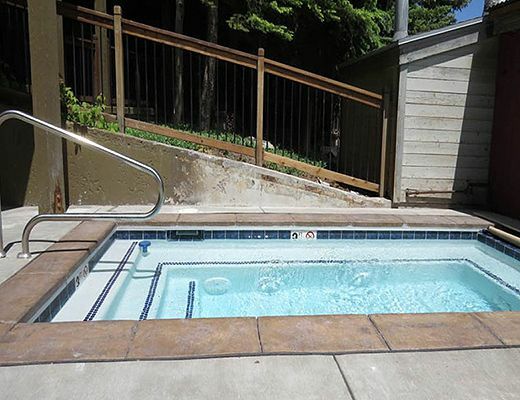 Common area hot tub and heated pool available in winter/summer seasons. 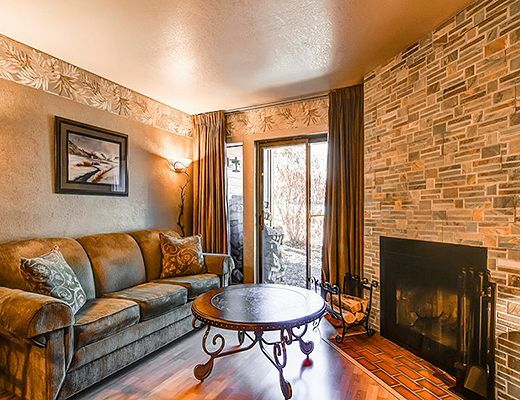 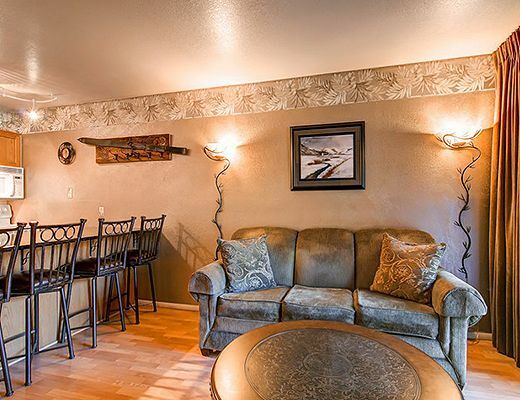 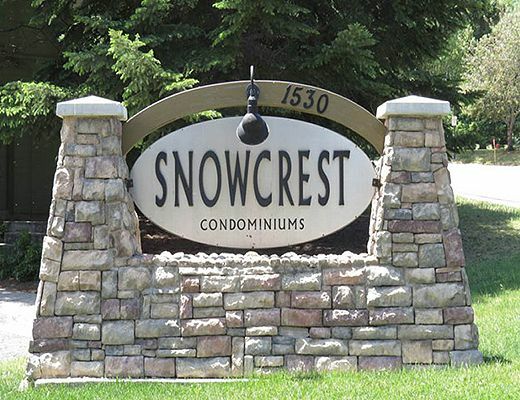 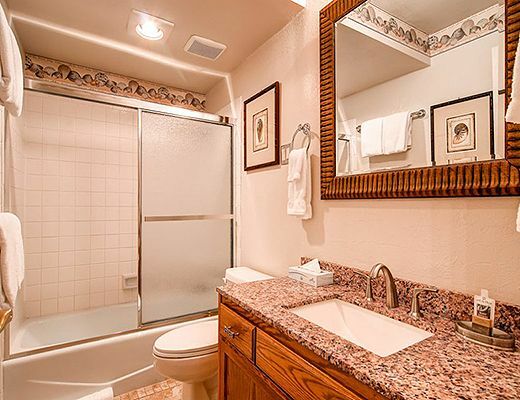 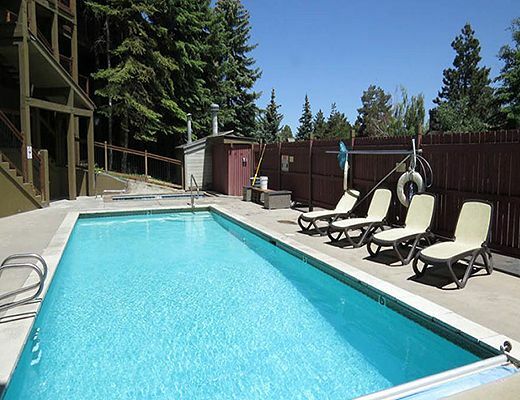 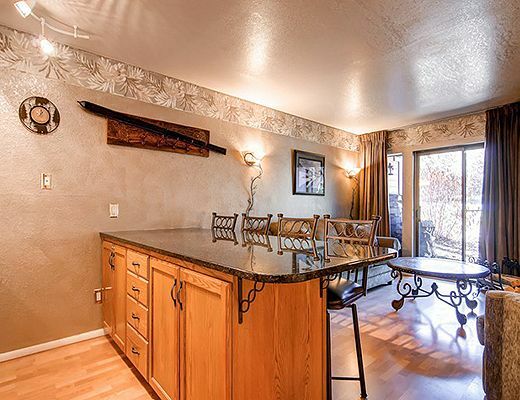 Walk to Park City Mountain from this ground floor condo that offers beautiful views! 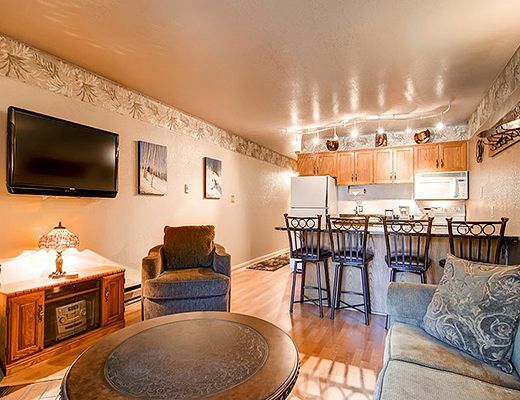 On the free shuttle route for easy access to Park City Mountain, Deer Valley Resort and Main Street.